Being responsible for another person’s finances, medical decisions, and property is called guardianship and it’s a large responsibility. To ensure that the process protects the most vulnerable at such a critical time, DiFranza Law works closely with families in Florida to help them navigate guardianship for their aging loved ones. What is guardianship and is it right for your loved one? When someone is incapable of managing their own personal decisions or their property, a guardian may be appointed by the court to make decisions on their behalf. Guardianship is an actual court proceeding where a guardian is selected to handle the legal rights of the incapable (incapacitated) person. Chapter 744 of the Florida Statutes governs the guardianship process, which excludes guardianship of someone with developmental disabilities. The legal rights and decisions the guardian will handle can be related to handling financial issues, living arrangements, medical care, and personal property. As court proceedings can be expensive, time-consuming, and complex, DiFranza Law can work with you to navigate the process so that the end result helps prevent elder abuse and financial exploitation. We will also help you determine if guardianship truly is the best way to assist your loved one. We will explore if your loved ones care can be managed with a less restrictive form of assistance, like a durable power of attorney and healthcare surrogate designation or guardian advocacy. Who determines the capacity of your aging loved one? After reviewing all of the options, if guardianship is the best course of action for your aging loved one, DiFranza Law can help you file a petition with the court. This is when we will present the factual information that is used by the courts to determine your loved one’s incapacity. Once the petition has been filed, the Florida Courts appoint a committee of three members typically comprised of two physicians and an expert who can form an opinion by his or her education, knowledge, skill, or training. One committee member must be familiar with the type of incapacity listed in the petition, and each committee member will submit a findings report. The committee members will exam your loved one. The exam typically includes a functional assessment, physical exam, and mental health exam. If the committee members don’t find your loved one to be incapacitated, the court will dismiss the petition, or they may schedule a hearing to determine whether the person is partially or totally incapacitated. A guardian will be appointed at the end of the hearing unless other alternatives can address your loved one’s incapacity. DiFranza Law has the guardianship experience to help your family navigate this process. Once you are appointed as a guardian, you must be represented by an attorney that will serve as your “attorney of record.” DiFranza Law can do this for you. As a guardian of your aging loved one, you will be given authority over their property. You will be responsible for creating an inventory of the property, investing the property wisely, using it for the benefit of your loved one, and preparing annual reports with all of the details. The annual reports are reviewed by the Clerk of Courts. Guardians are often required to take a court-approved training program. Some transactions may also require court approval. If your loved one is determined partially incapacitated, the Court will appoint you as a limited guardian who is only responsible for performing the rights that your loved one is incapable of doing on their own. When your loved one is in need of a guardian, there are so many ways to assist them and navigating those options can be overwhelming. At DiFranza Law, we have experience with guardianship. We will assist you in determining the best way to help your loved one in the most effective and appropriate way possible. 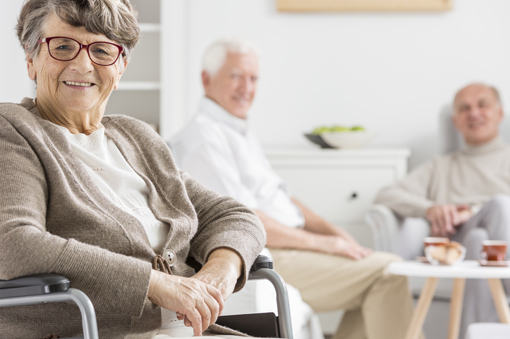 Your loved one has unique needs and abilities, and guardianship can be a way to assist your loved one with the ability to protect or assert their rights, manage their physical health and safety, and/or manage their financial resources.